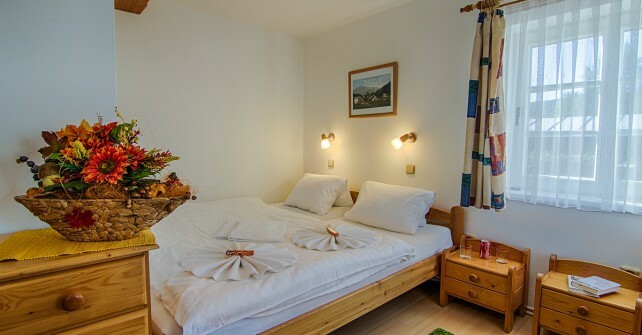 Pension Schafer in Harrachov, whose history dates back to 1889 is situated in the beautiful and peaceful Ann’s valley. It is a relaxed place, from where you will be able to set out not only for sport, but also for relaxation. 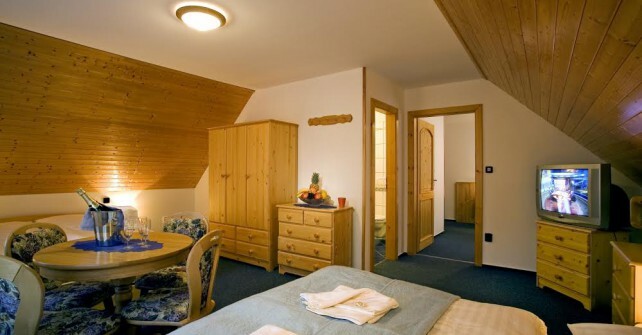 Although the guesthouse is only 10 minutes away from the city center, it enables its guests to have a peaceful time. Nearby is Harrachov ski resort, rope center, bobsled, glassworks, beer spa or even a brewery. A sufficient amount of cultural and sports activities throughout the year is offered not only to adults but also to children. Amazing experience is promised by the possibility of a natural swimming in the river Mumlava in the area belonging to the house. Accommodation in two, three, four bed rooms with a toilet, shower, hairdryer, TV. Studio for six people with two bedrooms (2 + 4), as well as toilet, shower, hairdryer, TV. Rooms at the pleasant price levels. Lounge with bar and fully equipped kitchen (stove, coffee maker, electric kettle, microwave oven) with cooking facilities. Summer terrace with barbecue and fireplace. Experience relaxation in the magical environment of Giant mountains.